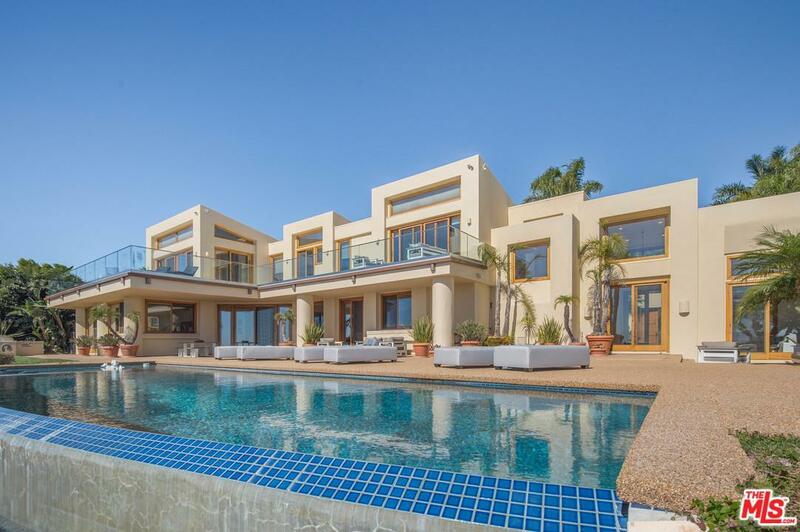 Capturing the best views Malibu has to offer, this beautifully designed estate overlooks the iconic cliffs of Little Dume beach, the Queen's Necklace city lights, Catalina island and mountain vistas. 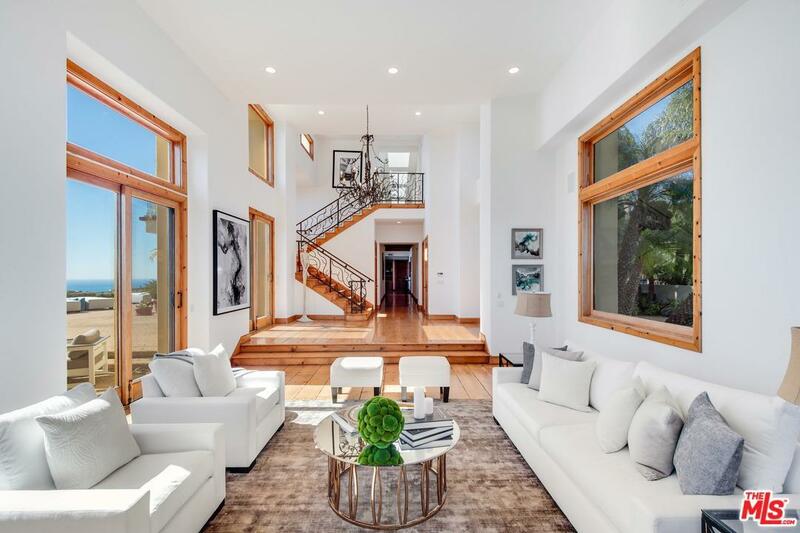 The home is open, voluminous and bright with hardwood floors, custom ironwork and high ceilings throughout. Totalling over 7,100 square feet of living space, the home has all the elements necessary for a discerning Buyer - the ground floor features formal living & dining rooms, a gourmet kitchen with island open to the family room, butler's pantry & a guest bedroom, plus an attached guest "casita" currently used as a media room. Upstairs are the remaining four bedrooms - all en-suite. The master bedroom features dual bathrooms, two expansive walk-in wardrobes plus an office. 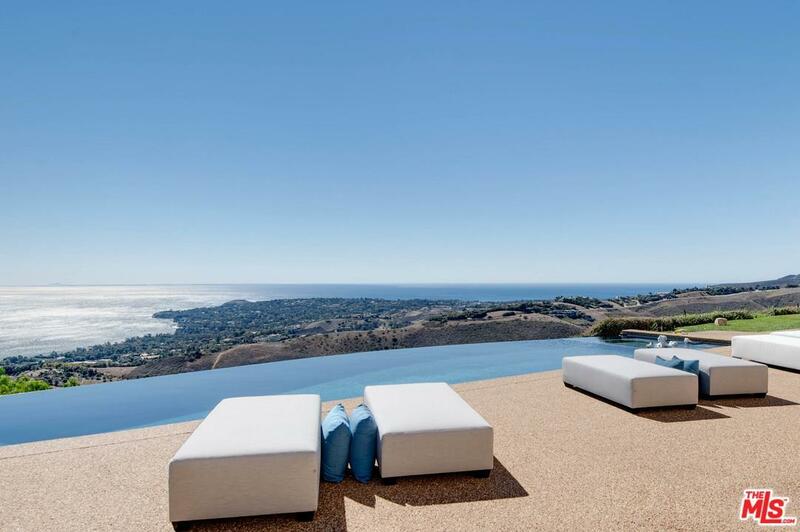 Positioned on a plateau in an exclusive gated community, Malibu Pacifica, this 4+ acre estate offers lush lawns, an infinity edge pool and numerous outdoor decks & patios all with unbeatable views. 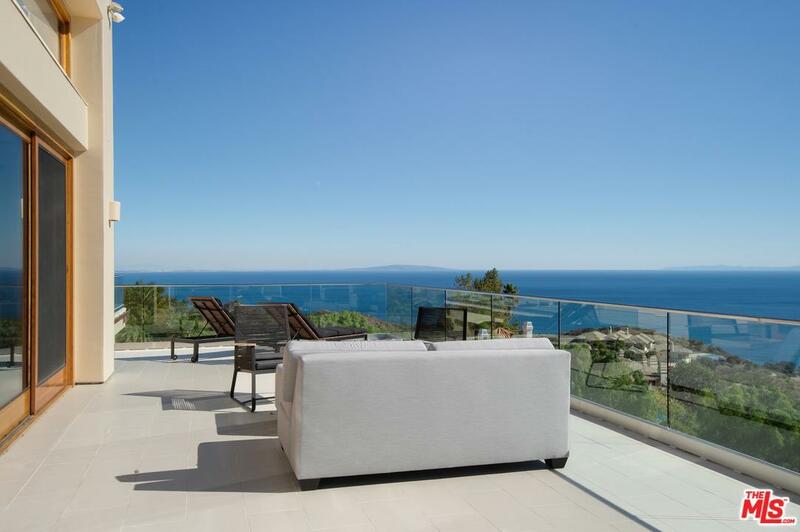 Sold by Andy Lyon BRE#01413280 of 4 Malibu Real Estate. Listing provided courtesy of Madison Hildebrand DRE#01413280 of Partners Trust Malibu and Jennifer Chrisman CA DRE# 01325526 of Partners Trust Malibu.